singer Michael Hutchence death is strange (as is the disappearance of his assets), but one detail is almost never mentioned by the media--Hutchence was found with a broken hand, a split lip, and other indications that he had been badly beaten. I have received a completed police brief into the death of Michael Kelland Hutchence on 22nd November, 1997, at Ritz Carlton Hotel, Double Bay. I am satisfied that the cause of death was "hanging". I am also satisfied that there was no other person involved in causing the death. The question of whether the death was a suicide or not has to be considered. The deceased was found at 11.50am naked behind the door to his room. He had apparently hanged himself with his own belt and the buckle broke away and his body was found kneeling on the floor and facing the door. (1) Michelle Bennett, a former de-facto of the deceased, received two telephone calls from him on the morning of the 22nd November. 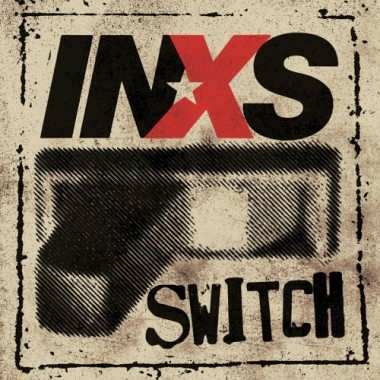 The first was on an answering machine and Mr Hutchence sounded "drunk". During the second call at 9.54am the deceased commenced to cry and according to Ms Bennett sounded "very upset". She was concerned about his demeanour and for his welfare and told him she would come immediately. However, when she arrived at the hotel she was not able to rouse him by knocking loudly on his door nor by ringing him. She wrote a note and left it at reception. Ms Bennett stated that Mr Hutchence never expressed previous inclinations regarding suicide. (2) The deceased's father, Kelland Hutchence, dined with him the previous night. The deceased was in good spirits, however appeared very worried in regard to the outcome of a custody suit in London. 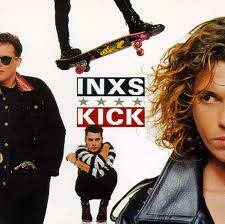 Mr Hutchence could offer no explanation as to why his son would take his own life. (3) Ms Kym Wilson and Mr Andrew Rayment were with the deceased in his hotel room from sometime after 11pm and left about 5am. According to Ms Wilson the deceased appeared to want both of them to remain with him to offer support if the result of hiscustody hearing was unfavourable. His mood was described as "elevated, however pensive when discussing court proceedings". All three persons consumed alcohol, including vodka, beer and champagne together with cocktails during this time. (4) Whilst Ms Wilson and Mr Rayment were in the room (when) Ms Martha Troup, the deceased's personal manager, rang from New York. Then later at 9.38am she received, via voice-mail, a call from Michael Hutchence in which he said: "Marth, Michael here. I f...ing had enough." She rang the hotel immediately and the telephone rang out. A further call was received at 9.50am on Ms Troup's telephone answering machine. The deceased sounded as if he was affected by something and was slow and deep. This call worried Ms Troup and (she) spoke to John Martin the tour manager for INXS about her concerns. Mr Martin refers to a note received from the deceased stating that he was "not going to rehearsals today". The rehearsal was to be the last one prior to the start of the tour and was quite important. (5) Ms Paula Yates provided a statement. She provided background to the custody dispute between her and Sir Robert Geldof. She stated that she rang the deceased at some time prior to 5.38am on the 22nd November and he told her he was going to beg Geldof to let the children come out to Australia. She had told the deceased that the custody matter had not been finalised and was adjourned until the 17th December and she would not be bringing the children out. Ms Yates stated that the deceased sounded "desperate" during the conversation. (6) Sir Robert Geldof received two telephone calls from the deceased, the first at about 6.30pm London time on (the) evening of 21st November. It was of a short duration and Geldof asked the deceased to call back. The second call was received by Geldof about 5.30am on 22nd November, Sydney time. This call was of some length. Geldof refers to the deceased's demeanour as being "hectoring and abusive and threatening" in nature. He refers to the deceased as "begging" to allow him to let the children come to Australia. He did not sound depressed during the conversation. A friend of both Geldof and Paula Yates, Ms Belinda Brewin, confirms the substance of the conversation between the two. A statement obtained from a Gail Coward, the occupant of the room directly next to the deceased's room, alludes to her hearing a loud male voice and expletives emitting from the deceased's room about 5am that morning. I am satisfied that she was hearing the telephone conversation between the deceased and Geldof. (7) A statement obtained from the mother of the deceased, Mrs Patricia Glassop, confirms her opinion that the deceased was in a depressed state. (8) In December 1995, Michael Hutchence was first prescribed Prozac by Dr J. Borham, a London medical practitioner, to treat a pre-existing depressive problem. He was last so prescribed on 1st November, 1997. A London psychiatrist, Mr Mark Collins, was consulted by the deceased on 17th October, 1997 in regard to a minor depression being experienced by him. According to the doctor there was no hint of suicidal thinking by the deceased. (9) An analysis report of the deceased's blood indicates the presence of alcohol, cocaine, Prozac and other prescription drugs. On consideration of the entirety of the evidence gathered I am satisfied that the deceased was in a severe depressed state on the morning of the 22nd November, 1997, due to a number of factors, including the relationship with Paula Yates and the pressure of the on-going dispute with Sir Robert Geldof, combined with the effects of the substances that he had ingested at that time. As indicated I am satisfied that the deceased intended and did take his own life. I am also satisfied that this death is one in which nothing will be gained by holding a formal Inquest. The identity of the deceased, the date and place of death and the manner and cause of death are clearly set out and the time and expense of holding an Inquest is not warranted and therefore such will be dispensed with. May I offer to the family of Michael Hutchence my sincere condolences on their sad loss.